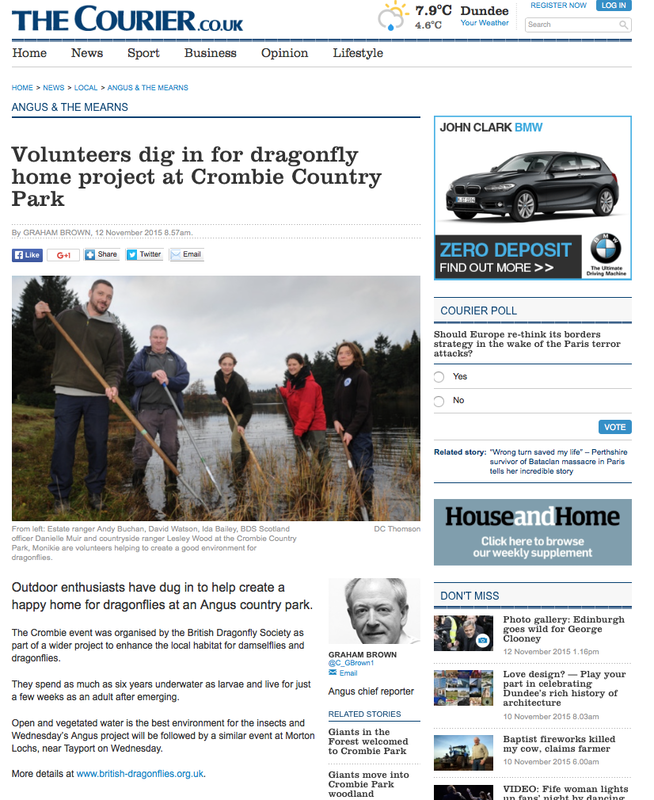 I had a great day helping maintain key dragonfly habitat at Crombie Country park. Conservation volunteering is a great way to get fit, do something a bit different and meet people from all walks of life. Thank you to the British Dragonfly Society for organising such a fun, rewarding event. 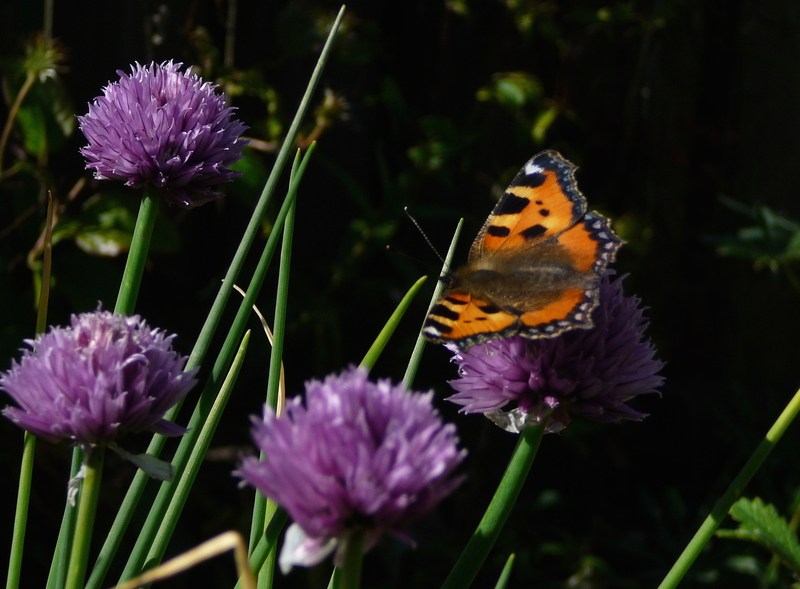 Chives are a great source of autumn nectar for bees and butterflies. Cut them back after they flower in the spring and they will flower again in August/September. They look great in a flower bed with other globular flowered plants of about the same hight. I like to mix them with globe flowers. You can buy chives cheaply as potted herbs in most supermarkets and split the clump to make 3-4 plants. As an added bonus they are great cooking herb and are very hardy and easy to grow. 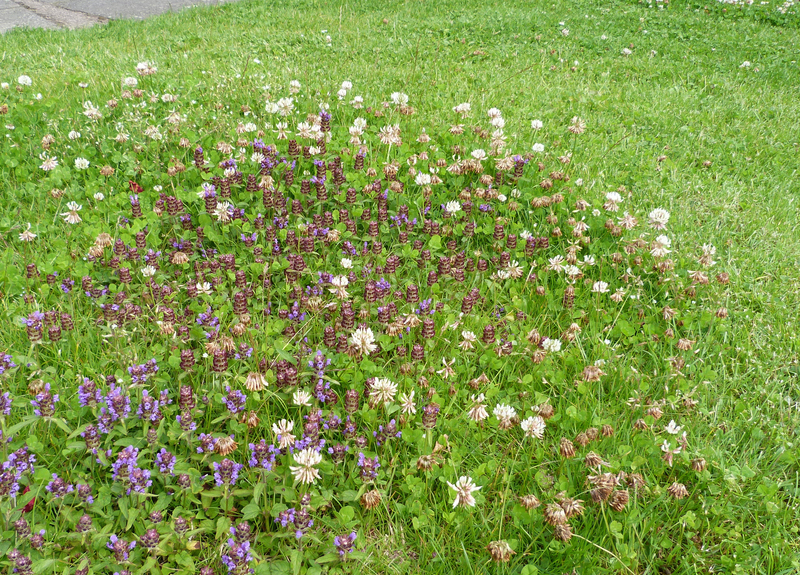 Even small gardens can support a wide array of species. Why not turn a part of your lawn in to a short but colourful flower meadow for bees and butterflies or add a raised pond to attract dragonflies and grow water lilies? My captive reared caterpiller hatched in to a beautiful Red Admiral (Vanessa atalanta) .